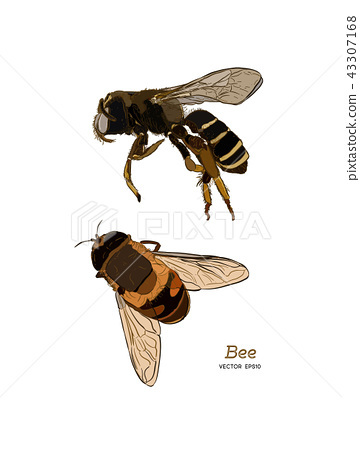 Honey bee vintage vector drawing. Hand drawn isolated insect sketch. Engraving style illustrations. Great for logo, icon, label, packaging design.